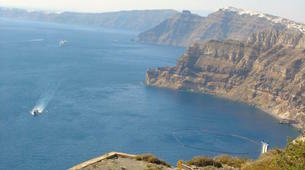 Sightseeing in Santorini can be quite exhausting, especially during the summer months, it gets crowded and really hot! 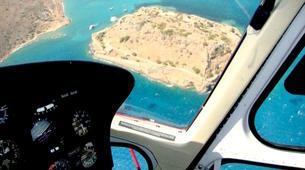 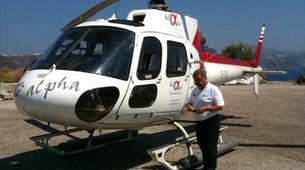 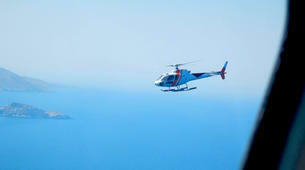 But there is an alternative: you can fly over the island and go sightseeing on a helicopter. 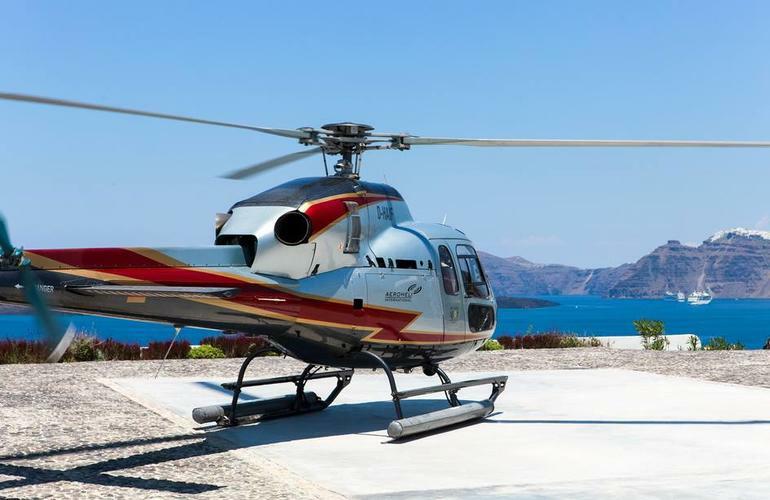 During the helicopter tour in Santorini you will enjoy the great views to Oia, Caldera and a volcano while flying over the island. 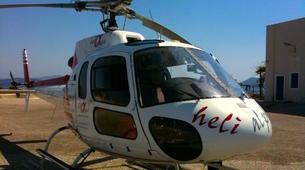 The adventure starts at the south of the island and the first thing you'll see is Megalochori and the famous vineyards. 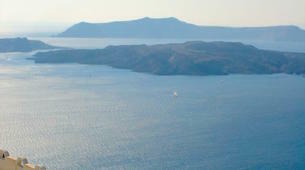 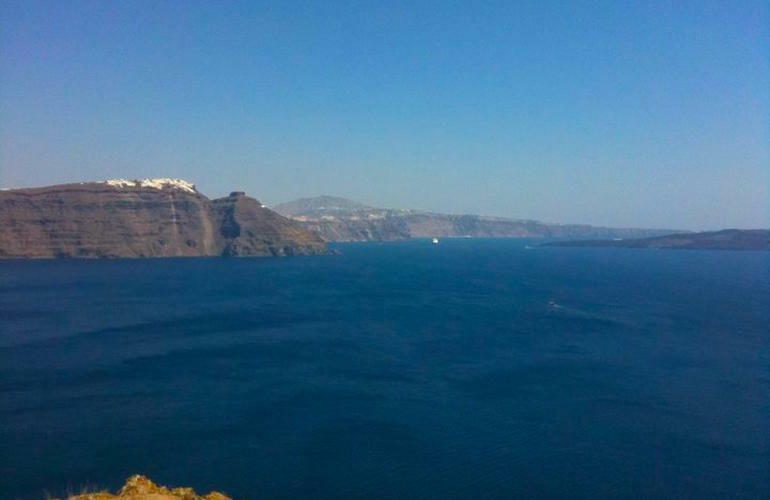 Afterwards, you will enjoy the views to Nea Kameni, the volcano and the famous Caldera before going to Thirassia. 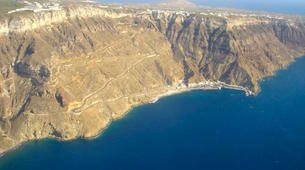 Picturesque white washed houses with blue and yellow doors rest to be seen in the area. 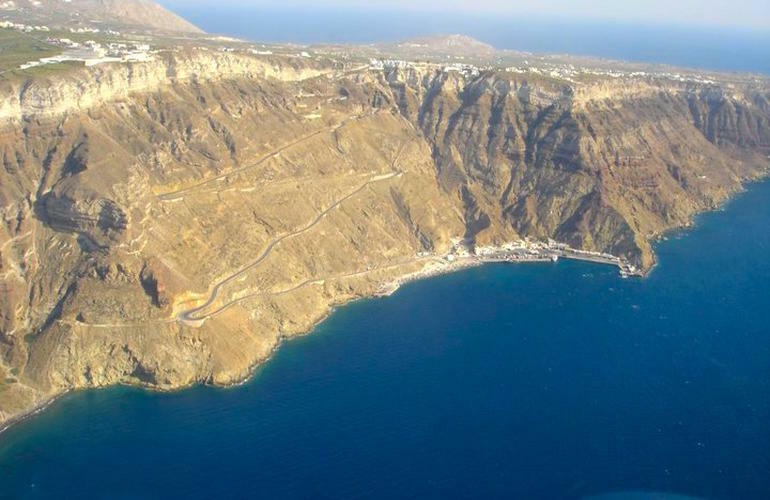 After Thirassia you will be flying towards Oia, the famous village of Santorini. 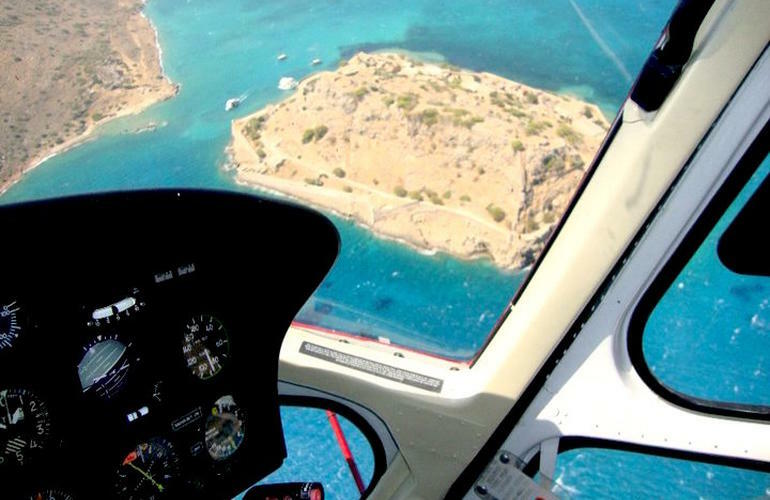 Blue domed churches and colorful houses can be seen close enough from the helicopter. 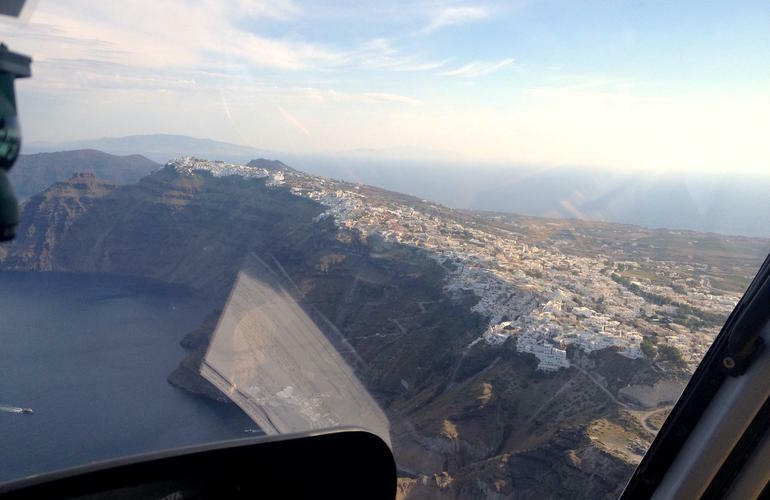 In certain cases it's possible to fly a bit closer so you can capture the perfect selfie in Santorini. 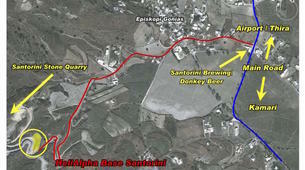 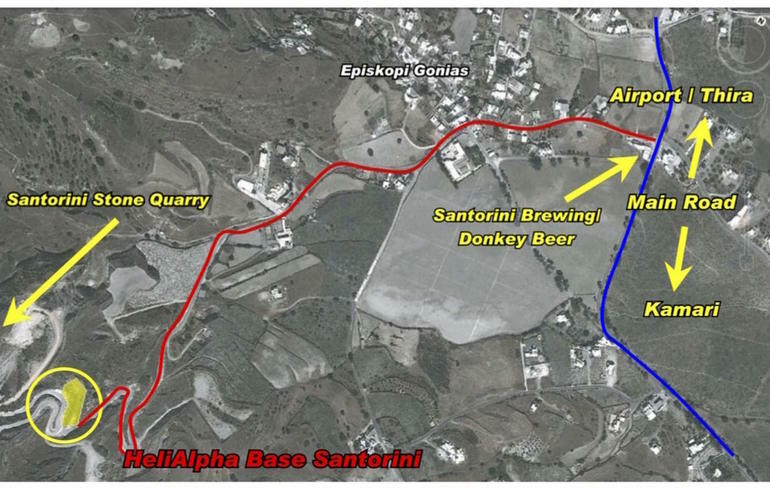 After a while, you will return to the basis in the south of the island. 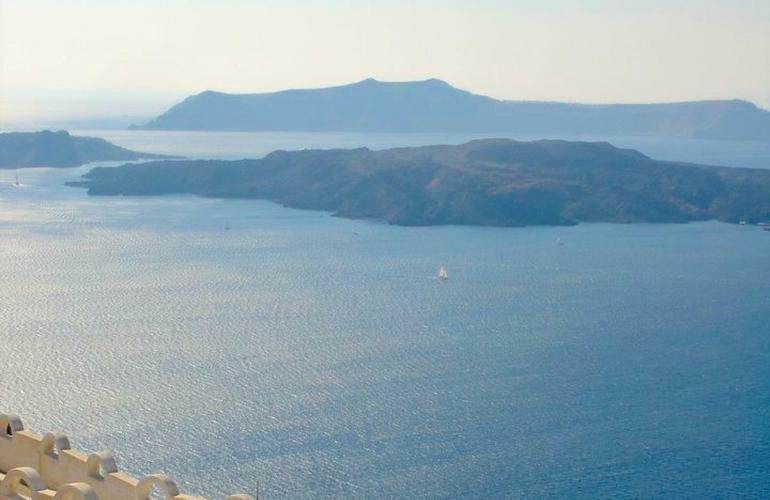 Looking for romance? 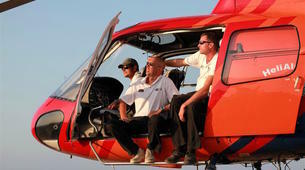 Then the sunset tour will be the perfect highlight of your trip. 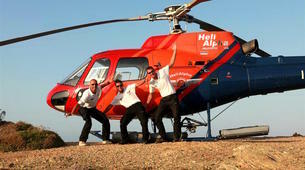 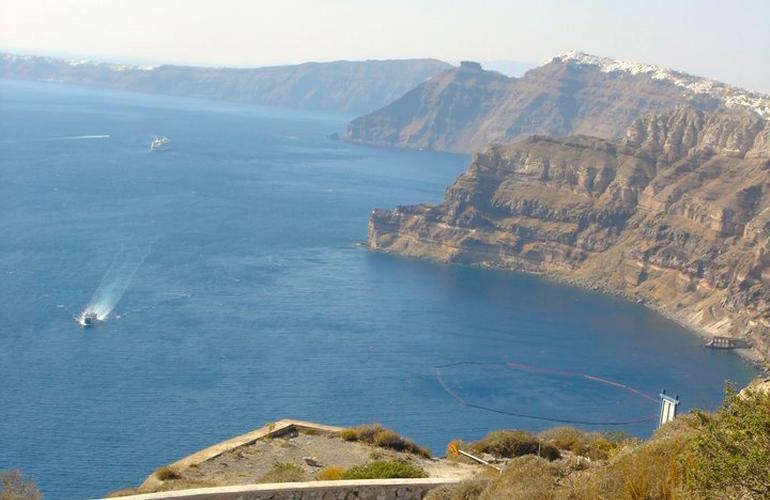 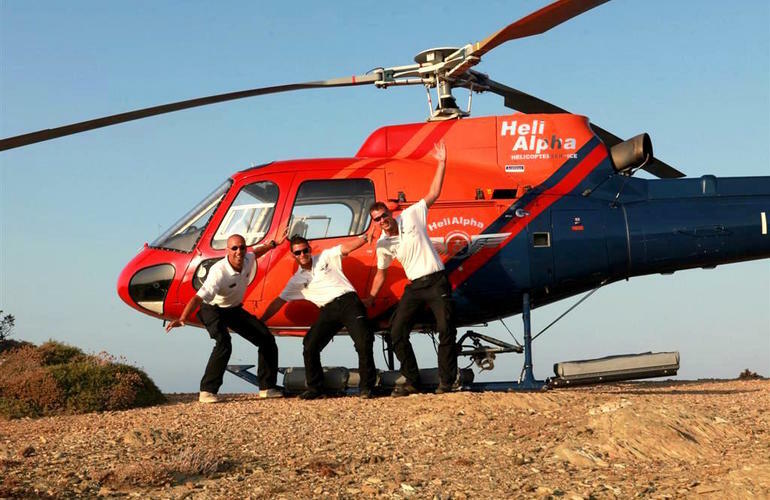 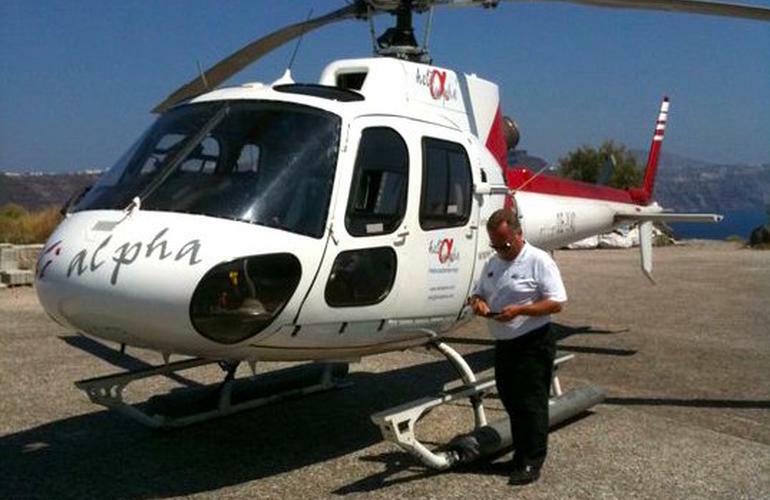 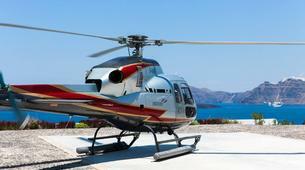 Enjoy the famous Santorini sunset with a helicopter tour! 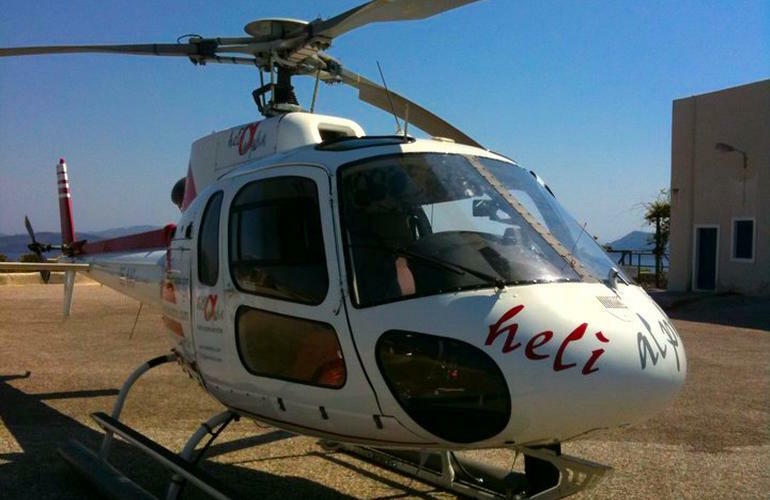 This is an amazing way to see Santorini by helicopter and get the best views of this awesome island. 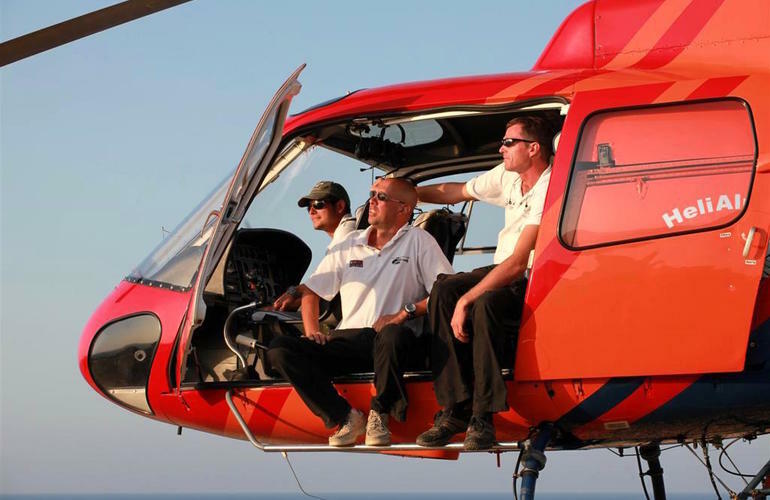 After booking you will need to send to your Pro the names of the participants, ages, and the Passport number to be able to manage the paperwork before flying. 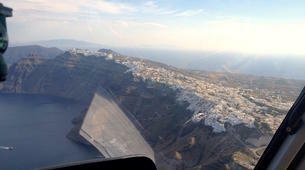 What an amazing experience, professional crew, great commentary and perfect to see Santorini from above. Nice experience, beautiful view from above! 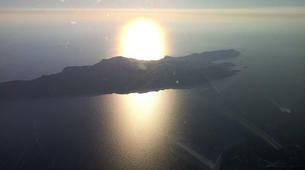 Great to see santorini from the air. 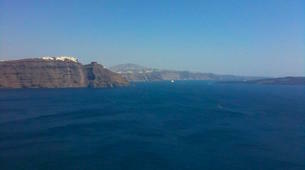 A great exciting trip for the two of us, as a honeymoon, treat to my wife.Expensive but I wanted a private tour and didn't want to share with strangers. 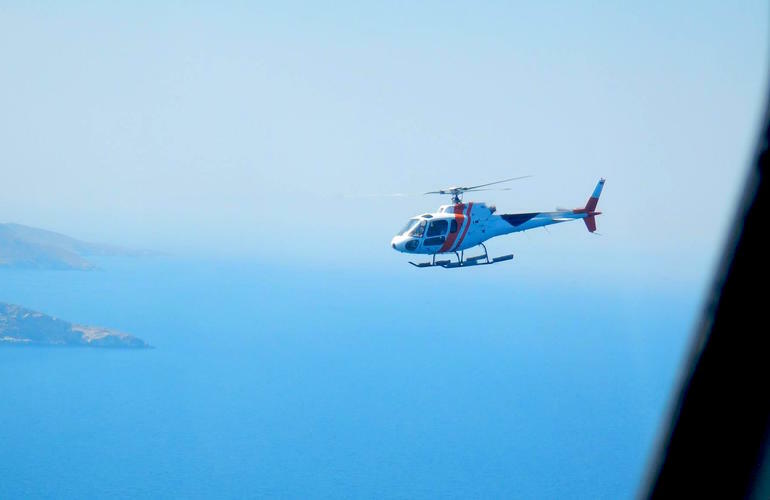 Tour of the island covered everything, great photos.